Patriotic? – Life Is Such A Sweet Insanity. Trump supporters are always hootin’ and hollarin’ about how patriotic they are. They are Making America Great Again. They are bringing ‘Merica back to her core values, embracing the Heartland, draining swamps. In actuality, Trump supporters are doing their best to rid the United States of any sort of decency, education, intellect or quite frankly, class. 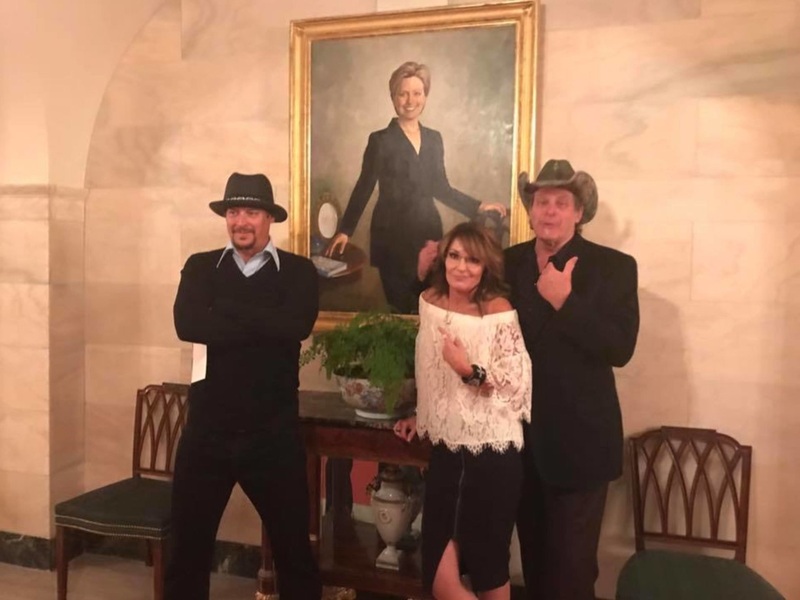 If you find any part of this picture appropriate for the White House, please cut off any and all ties you have to me. I don’t want to know you. Hillary Clinton has done some amazing things for the people of this country, but by God we’ve done everything we can to make sure the small percentage of bad choices she has made are first and foremost discussed constantly. Mama always taught me to take my hat off whenever I’m in the house. I guess these two didn’t get the memo. I wore a sport coat and slacks to tour the Washington Monument. I’d probably wear a tie if I knew I was going to visit the White House. The White House is worthy of the respect of all citizens of the United States and should be treated as such. I wouldn’t let a man walk in with a hat and I certainly wouldn’t let a woman walk in Monster Truck Rally attire. The afghans and whore heels would stay home. There are a lot of people in this country, in this world, that I don’t agree with, but I would still treat them with respect. What I see in that photo is unbelievable to me. My God, how far this country has fallen in less than six months. Horrible.